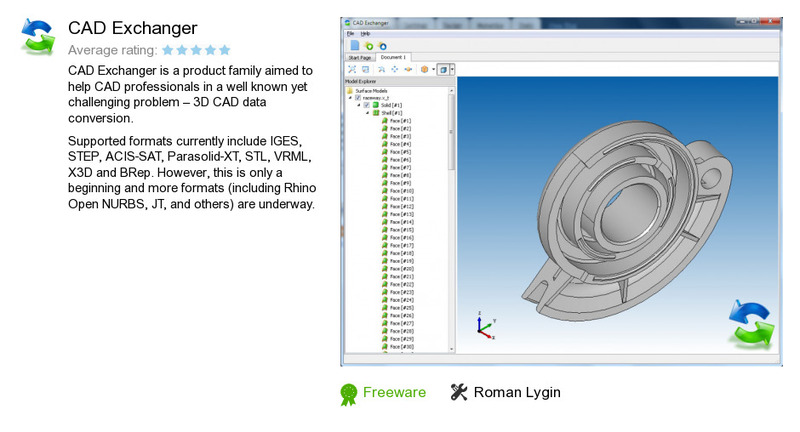 CAD Exchanger is a program developed by Roman Lygin. We know of versions 3.1, 3.0, 3.0 beta, 2.5, 2.4, 2.3, 2.2, 2.1, 2.1 beta, 1.0. Version 3.1.0.6304 is downloadable at our site. CAD Exchanger installation file has a size of 39,669,177 bytes.